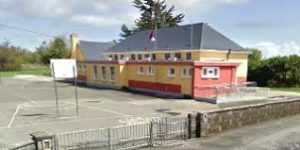 The Minister for Education is dragging his feet on minor works funding for primary schools and is therefore causing most of these schools severe financial problems. The capitation grant rate has not increased, and this money, which was paid this day last year, now looks at best, will be paid out at end of year this time around. The answer we got to questions we asked of the Minister was- if funding permits. This is a deplorable way to treat the primary schools as this government does not pay any capitation grant until January, and schools have no funding from September until January unless this minor works funding is paid. It appears this government want to starve small schools of badly needed funding and we know the conquences of that. I am calling an the Minister to immediately fast forward the payment of the minor works grants to these schools as many are running on overdraft as it stands.Each year the uncertainty for principals is worrying and if we don’t put proper funding in place for primary education which is the foundation of our state, then how are we going to achieve to have a properly educated workforce for the future.